My husband nicknamed this one and I think it is appropriate given that the French origin of the word dandelion – dent-de-lioun – means “tooth of the lion” due to the plant’s sharply indented leaves. This fierce little smoothie contains a handful of dandelion greens, if you want more of a kick, add more leaves. 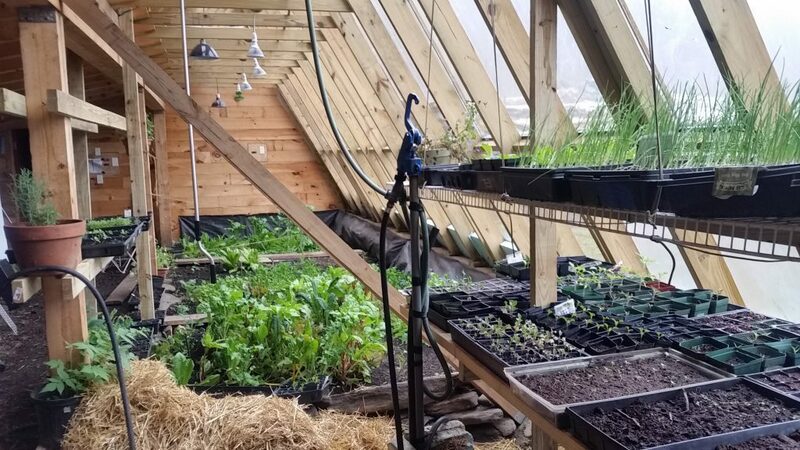 Our home resides in a community with an Earthship greenhouse and while up there yesterday, I spotted a patch of dandelion greens and thought to myself “why not?”. I love adding greens to my morning smoothies … watercress, parsley, cilantro … and given that we are in the month of April, I figure this is as good a time as any to create a delicious spring beverage for us all to enjoy. Folk medicine claims the dandelion plant a powerful healer, used to purify the blood, clear the skin, prevent herpes, lower blood sugar, calm digestion, prevent gall stones…among other maladies. The greens of the humble dandelion provide 535% of the recommended daily value of vitamin K, which may be the most important source of any plant-based food to strengthen bones and keep Alzheimer’s at bay by limiting neuron damage in the brain. Blend the water and chia seeds in a high speed blender; like a Vita-Mix. Let this mixture sit while you wash and chop the other ingredients. Boost the life activity with the contents of a couple probiotic capsules to replenish beneficial gut flora for strong immunity and digestion. Unsweetened probiotic-rich liquids like coconut kefir or InnergyBiotic make good health-promoting additions too. Thicken up smoothie with young coconut pudding – green smoothie in a bowl! Sour green apples give a touch of sweet expansiveness to this alkaline, vegetable smoothie. Ideally, fruit is best eaten alone on an empty stomach for optimal food combining, but seems to work fine combined with raw leafy greens. If the apple is too sweet for you (i.e. causes a yeast flare) leave it out and add more stevia. Substitutions: replace the ginger with a thick slice of turmeric root. Storing smoothie longer than a day or two? You might want to add a couple teaspoons of cold-pressed flax oil as the extra fat helps preserve the nutrients in the smoothie. *I add a pinch of mineral-rich sea salt to my smoothie to boost the flavor of fruit and vegetables, stimulate the lymphatic system, replenish electrolytes, aid digestion, and help the body access energy. I do not recommend common table salt which is often heated to extreme temperatures, iodized, bleached, processed, and refined. 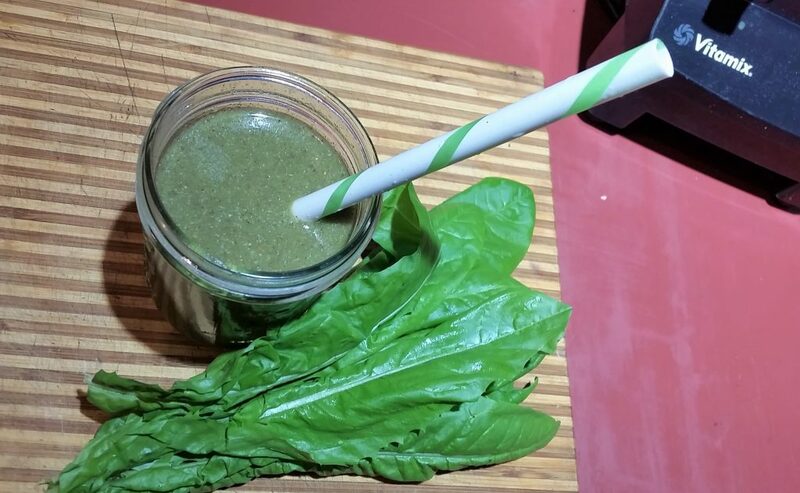 Market Green Smoothie Recipe for B.E.D.